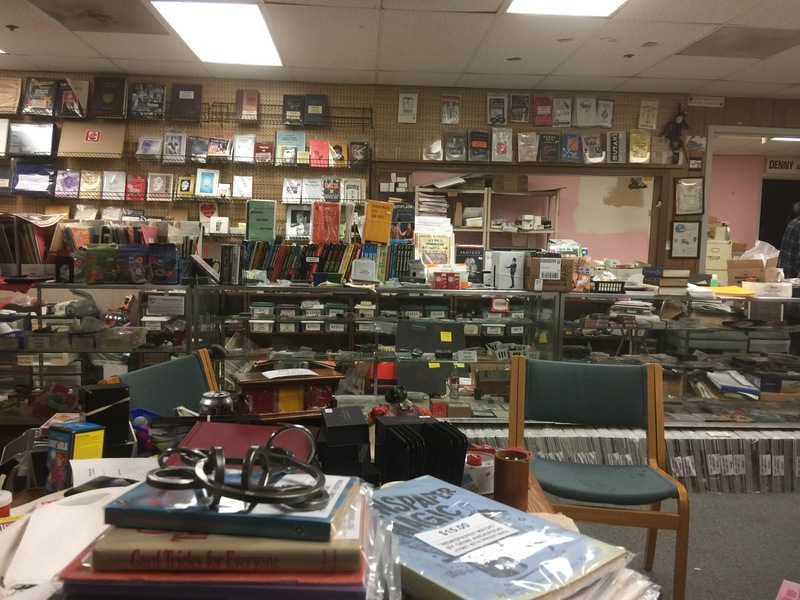 The owner of those local magic stores was able to advise us on our purchases, monitor our progress, and help direct our development, and that just doesn’t happen on a website. 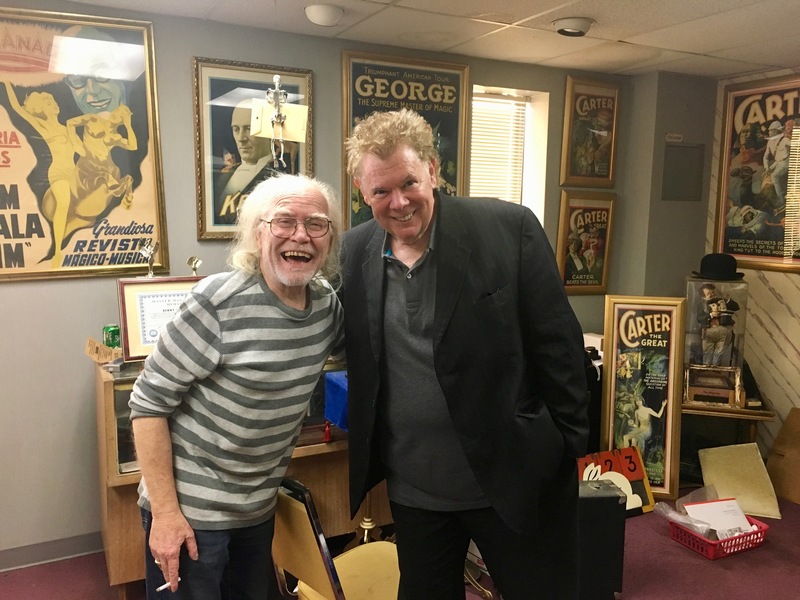 I recently visited with Denny Haney in his wonderful magic store in Baltimore. I spent a few hours in the store and thoroughly enjoyed watching him dispense advice and magic with the precision of a magical MD. Unlike the current trend of focusing on the latest trend effects, with the sharpest video trailers, I re-witnessed how things used to be, and I realized how much our younger magicians are missing out in this new digital age. It is very easy to click on a website and send a PayPal payment for a prop to a digital business. However, an awful lot is missing without the personal touch. Next year I am going to make the effort to really visit and support our remaining old school magic dealers. These vendors/mentors deserve our participation and financial support; there is a specific role that they fulfill that has NOT been replaced by YouTube, and it never, ever will be. ~ by Nick Lewin on January 7, 2018. They also served as a gathering venue for young and experienced magicians in which ideas were exchanged, advice given and many young magi developed into more mature performers. In small cities, like Hartford, the proprietors also served as de facto booking agents for the$25 birthday performer set—usually without a commission, but firm in the knowledge the $25 would be spent in their shop. Nick, remember those of us who aren’t blessed with a brick and mortar shop can order from on line stores that also support a brick and mortar presence. Great words Nick. Memories of visits to Oscar Oswald, John Henley (Inzani Henley), Ken Brooke of course (quite scary! ), Davenports, Harry Stanley, etc, come to mind. Sadly they were rare school holiday visits so I never got know these magical mentors well enough to become a regular and benefit from there knowledge and advice. Their catalogues were quickly memorised and significant new additions were slow unlike today when screen page loads of “assemble it yourself” tricks on DVDs are literally here today and gone tomorrow as distributors seem to throw anything and everything at a young market who have instant access to magic’s secrets with a few clicks. The times they are a changin’. . .
Who could forget visiting Pat Page in Davenports!